Minister for Environment, Hannah Blythyn, officially opened a new St David’s Hospice Reuse Shop at Mochdre Recycling Centre in Colwyn Bay. 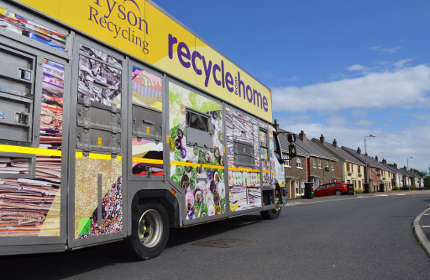 This pioneering project, developed in partnership with Bryson Recycling and Conwy County Borough Council, aims to extend the life of reusable household items while generating profits for a very worthwhile local charity. The shop is located within a former industrial building owned by the council, which has been converted into a modern retail facility, following support from the Welsh Government’s Collaborative Change Programme to improve recycling and reuse opportunities. 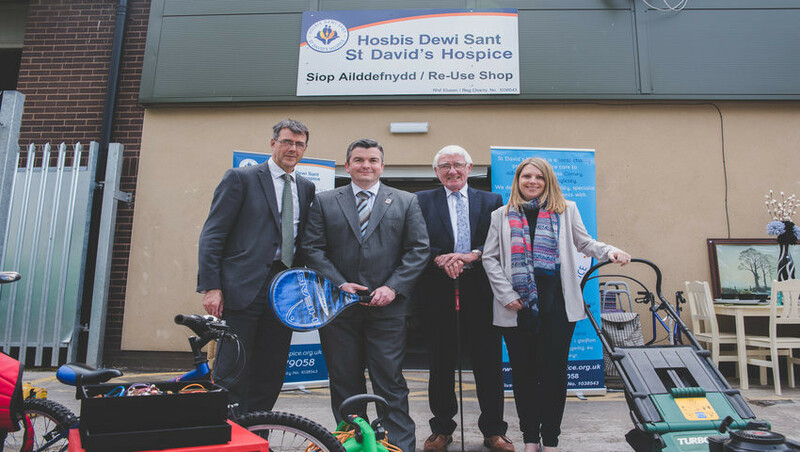 Councillor Gareth Jones, Leader of Conwy County Borough Council, said: “Having a re-use shop is a great way to change the way that people think about unwanted items. Every year many items that are perfectly reusable are taken to our recycling centres as rubbish, but these items could actually be used by someone else. By repurposing these items, people are not only raising funds for a local charity, but are also reducing waste to landfill and helping to increase the recycling figures for Conwy. Every year, local householders dump many tonnes of perfectly reusable items which potentially could be of use to someone else. By salvaging and reselling these items, we can reduce waste going to landfill and the associated disposal costs, boost our local recycling figures and help raise funds for charity”. Eric Randall, Director of Bryson Recycling added: “We are delighted to see the St David’s Hospice Reuse Shop now open at our site. Reusing is even better than recycling, and as a social enterprise we were keen to deliver a project like this that brings together all three strands of environmental, economic and social well-being”. Trystan Pritchard, Chief Executive of St David’s Hospice added “This is an excellent way to give unwanted items a new lease of life while helping us provide care for local adult patients with advanced illnesses or those in need of end of life care, and their families”. The shop is open seven days a week from 9am to 5pm. For further information on St David’s Hospice please visit www.stdavidshospice.org.uk. 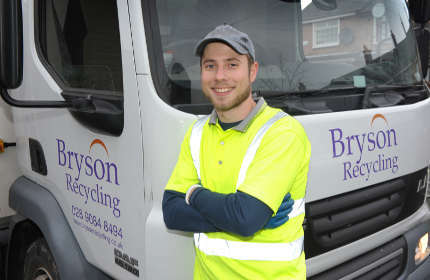 Bryson Recycling is the UK’s largest social enterprise recycling company. 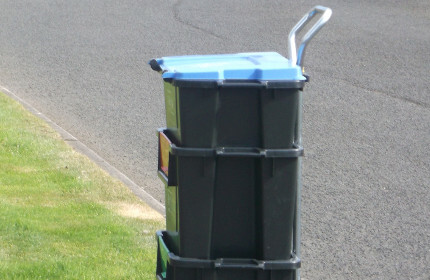 They deliver a wide range of recycling services in Northern Ireland, Donegal and Wales. They won a contract with Conwy County Borough Council in 2013 to manage their Recycling Centres in Abergele and Mochdre. St David’s Hospice is a local charity, caring for local people, delivering specialist care to adult patients with advanced illnesses or those in need of end of life care and their families. Every year, this touches the lives of over 1000 people within our local communities from across the counties of Conwy, Gwynedd and Anglesey. We offer 24 hour care, 365 days a year providing a clinical service alongside emotional, physical and spiritual support. In our Day Care Unit we provide patient care, bereavement and counselling services, whilst our Inpatient Unit offers symptom control, respite and end of life care. It costs over £3 million each year to deliver the services – that’s over £8,000 a day. The majority of this comes from community fundraising. None of these costs are passed to the patients, their families or carers, because St David’s Hospice care is free to all.